Taken at Otmoor, Oxon, on July 31st 2018. Underside. Taken at Besselsleigh Wood, Oxon., on July 7th 2018. 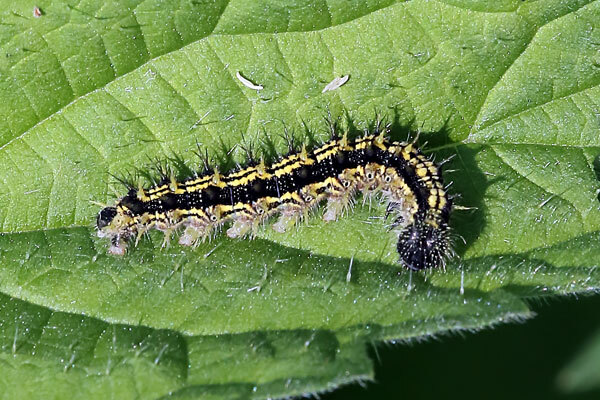 Larva. Taken at Otmoor, Oxon., on June 6th 2018. 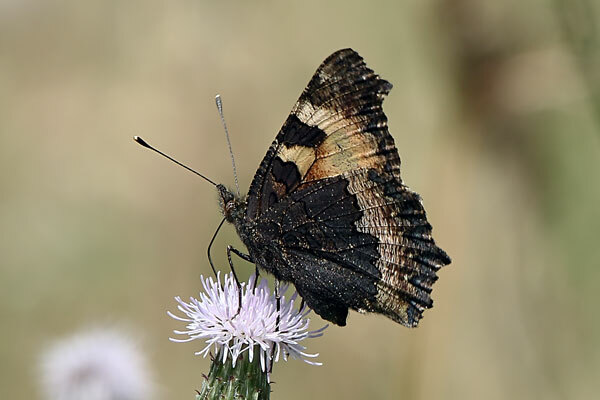 The Small Tortoiseshell is one of the most familiar British butterflies, but in the 21st century it has suffered a significant decline, especially in the south of the country. The reason for this decline is not well understood. It is found throughout the British Isles as far north as the Orkney islands. A range of habitats is utilised, including meadows, gardens and woodland edges. There are usually 2 broods each year in the south, with the first emerging in June and July, and the second from August to mid-October. Second brood adults go into hibernation quite quickly, re-emerging in the spring and often surviving well into May. In northern areas there is only one brood per year. The main larval foodplants are Common Nettle and Small Nettle. 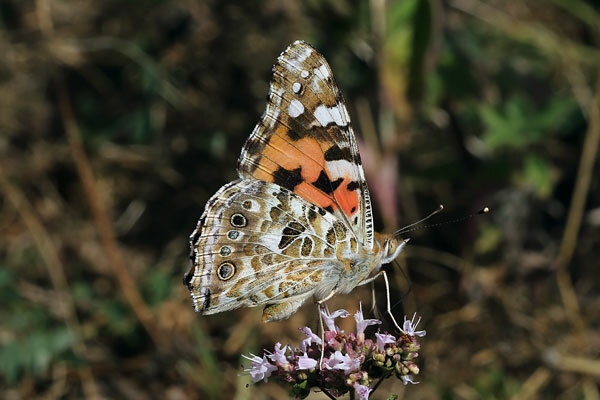 Adults are often seen feeding on Buddleia and Sedum in gardens. Thistles, Knapweeds, Ragwort and Teasel are often used in the countryside. Small Tortoiseshells spend much of their lives on the move, with periods of cross-country travel interspersed with periods of feeding, basking and egg-laying.